Meg’s friend Jess here for some guest posts. Megs and I are both winos and long-time wine and food lovers (and friends). For this wine, my husband and I decided to make the dinner after selecting the wine instead of the other way around. It was warm out, so we were in the mood for a crisp white. This wine definitely did not disappoint. The wine was very crisp and had a distinct citrus flavor. When it hits your mouth it gives just the slightest ‘pucker’ sensation, but definitely isn’t too sweet. 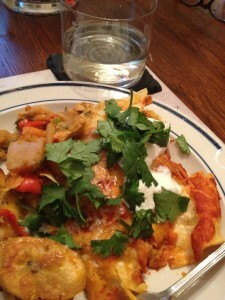 After we picked the wine, we (as in my husband) fixed really spicy chicken and black bean enchiladas. This combination worked perfectly! This white held it’s own with the really spicy dinner and was a refreshing palate cleanser. The finish was really smooth. 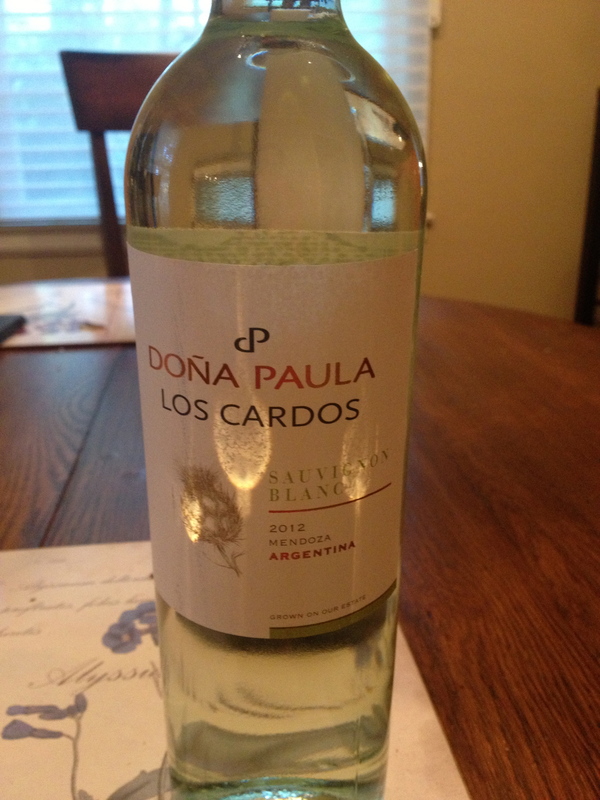 I’m a big Sauvignon Blanc fan, and I love Argentinian white wines (especially in warmer weather) so this was an affordable option that tasted wonderful. This is the perfect summer sipper – just made for back porches and friendly company. Would you buy again? Definitely! Bring on summer! !